The ASPCA Annual Humane Awards Luncheon provides the ASPCA with a forum to recognize animal heroes who have demonstrated extraordinary efforts, as well as individuals who have shown a great commitment to animal welfare. 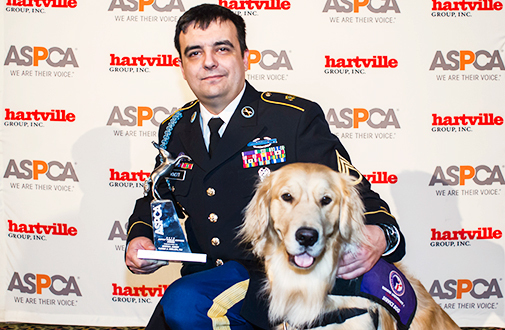 ASPCA Humane Awards are given in several distinct categories: ASPCA Dog of the Year, ASPCA Cat of the Year, ASPCA Tommy P. Monahan Kid of the Year Award, ASPCA Public Service Award, ASPCA Henry Bergh Award, ASPCA Equine Welfare Award, ASPCA Citizen Hero Award and the ASPCA Presidential Service Award. The 2018 Annual Humane Awards Luncheon will be held on Thursday, November 15, 2018. Whether you choose to participate as an event attendee, as a corporate sponsor or by making a general donation, your involvement will help the ASPCA continue to provide local and national leadership in three key areas: caring for pet parents and pets, providing positive outcomes for at-risk animals, and serving victims of animal cruelty. Please consider giving to the ASPCA today. Partnering with the ASPCA will provide companies with a wonderful opportunity to market their brands and products to an affluent and compassionate audience. 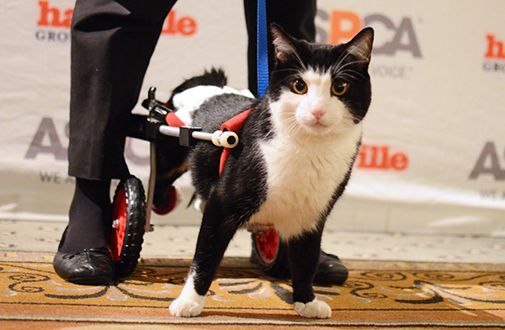 Historically, the ASPCA Humane Awards Luncheon has attracted more than 450 of New York’s most dedicated animal lovers. The ASPCA enjoys 92% name recognition among the 66 million+ families in the United States with pets. Across the country, organizations are joining the movement toward a world free from animal cruelty, animal homelessness and animal neglect through corporate sponsorship, volunteerism and workplace giving. The ASPCA Humane Awards Luncheon offers a unique sponsorship opportunity—through sponsoring one or more awards, your company will further establish itself as a community and philanthropic leader, gain unique access to this valuable audience and partner with an American icon, all while helping to protect thousands of innocent animal lives. For additional information on sponsoring the ASPCA Annual Humane Awards Luncheon, please contact Megan Stahlberg at (212) 876-7700 ext. 4779 or [email protected]. Crum & Forster Pet Insurance Group is a proud sponsor of The ASPCA Annual Humane Awards Luncheon.